Every once in a while you just get a very deep and primal urge to have barbeque. Maybe it’s something in your genetics leftover from ancient times, but all you know is that you have a craving. A little while later you are sitting in front a plate that smells divine. You start eating like you just got back from a deserted island, and you couldn’t be happier. Suddenly, you bite into a rigid piece of bone. You run your tongue along your teeth, and yes, you definitely chipped one of your teeth. It’s really minor, but it’s certainly enough for you, and especially others, to notice. You don’t need anything drastic, just a slight repair, but what would that entail? Cosmetic bonding from your dentist in Rancho Bernardo is just what you need. Cosmetic bonding uses a naturally colored composite resin to help mold your tooth into a more desirable shape and enhance the color. It will be specially colored so that it blends in with the rest of your natural teeth. Cosmetic bonding is one of the least involved cosmetic procedures available, and is extremely customizable. Whatever slight improvement your tooth needs, cosmetic bonding can probably handle it. Your tooth will be prepared using a liquid roughening agent. This will ensure that the bonding will firmly and securely attach. Nelson will apply the putty- like bonding material and shape it around the tooth to enhance it. The bonding will set in about 30-60 minutes. Unlike with crowns or porcelain veneers, cosmetic bonding doesn’t require any part of your enamel to be removed. It is also one of the quickest and least expensive cosmetic treatments you can get. With proper care, cosmetic bonding can easily last up to 10 years. 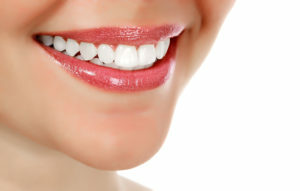 The only way to see if your smile could benefit from cosmetic bonding is to come see us. That way you and Dr. Nelson can talk about your goals and decide on the best path for you. Cosmetic bonding is fast, easy, painless, and can help restore you smile. Don’t let small imperfections get you down, so make an appointment today.